The highest level of skills and resources will be used in providing services to your business. We are always looking to recruit talent as we continue to grow. 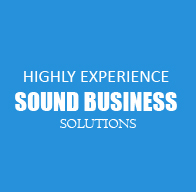 We are available to provide sound business advice. We provide services to a diverse range of clients in a variety of industries. In todayâ€™s complex business market, businesses rely on a CPA firm that provides full service accounting and business advisory to privately and closely held businesses. Our team of professionals are talented individuals who have diverse background with many years of experience and specialties in accounting and tax, allowing you to help your business become more operationally efficient and competitive. At T.S. Anand & Company, our strength is personalized service. Our partners are directly involved with every clientâ€™s business solutions and planning. We maintain our commitment to providing accounting and tax services with integrity, trust and dedication. We, at T. S. Anand & Company, are dedicated to providing the highest possible quality service to all of our clients. We serve diverse clientele including mid size privately owned companies. We provide auditing, accounting, tax and management services. Call T. S. Anand & Company for â€œtomorrowâ€™s solutions todayâ€.